Superstar Rajinikanth and Radhika Apte are now busy with the shoot schedules of their upcoming film Kabali happening at brisk pace in Goa locations. Pa Ranjith is helming megaphone for this gangster based action drama. In the Goa schedule key action scenes and a song on the lead pair is expected to be canned and to be finished in just 15 Days and unit will return back to Chennai. Kabali also features Dhansika as Rajinikanth's daughter while Dinesh, John Vijay, Meme Gopi, Rithwika and others in promnent roles. Kalaipuli S Thanu is producing the movie and Kabali is slated for 2015 Summer. 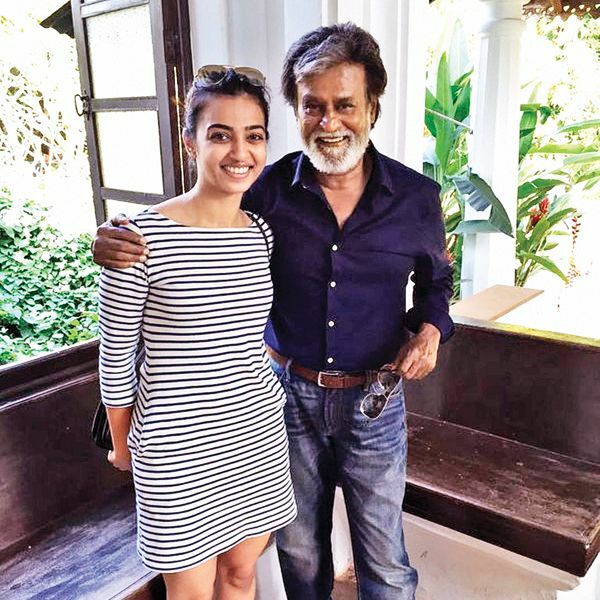 Write & Share about "Rajini, Radhika Apte filming for Kabali in Goa | Kabali Tamil Movie News | Cinema Profile" !